With her long, lean, muscular body, you can be forgiven for thinking that five year-old greyhound Cadence, can take off at a moment’s notice when you first meet her! True to her breed, Cadence is built to run. 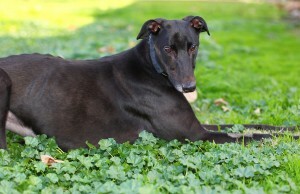 However, like many greyhounds, she would love nothing more than to spend her days with a new family curled up on the sofas; living up to the greyhound’s reputation of being the couch potatoes of the canine world. An intelligent, loving, sweet natured dog, Cadence enjoys spending time with people and other dogs when going out for her daily walk. She is also a very affectionate dog and will seek out pats and cuddles with familiar faces and new friends. Cadence suffers from a medical condition known as Pannus, which, according to Dr Alan Bolton, Senior Veterinarian at the Frank Samways Veterinary Clinic, can be easily treated. “Pannus is an inflammatory disorder which affects the cornea. In its early stages it is not painful, but if left untreated, overtime it can lead to blindness. “Once the condition appears there is no treatment which completely eliminates Pannus, but there are a number of treatments which can be used to manage the condition, and it is a very manageable condition. “Cadence’s new owners will need to take her for regular vet checks around every three months and will need to treat her eyes with medication which can be dispensed by your vet,” said Dr Bolton. Like most greyhounds, Cadence doesn’t need as much exercise asother dog breeds, but she will benefit from a daily walk and ongoing socialisation with other dogs to build her confidence. Under the Domestic Animals Act 1994, she will need to be muzzled and leashed when going outside for walks, unless she undergoes a Green Collar Assessment through the Greyhound Adoption Program. While she has been at the Home Cadence has been walked daily wearing a muzzle and is used to wearing one out in public. Cadence is now available for adoption and is desexed, microchipped, vaccinated and wormed. 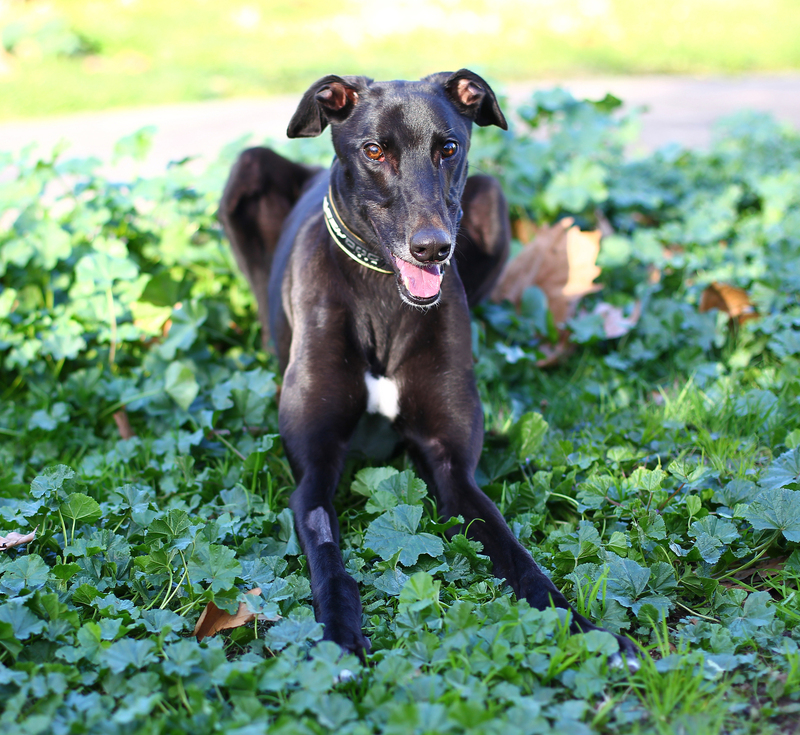 If you would like to meet her this weekend, come down to our North Melbourne shelter at 2 Gracie Street, North Melbourne and meet this gentle greyhound in the fur!